It’s Time for Winter Cleaning! What’s the fuss over Spring cleaning all about, anyway? This is the perfect time of the year to make a list, check it twice, and knock some projects off it. With relatives coming over and the hustle and bustle of decorating, a few home cleaning time-savers can make the holidays even brighter. 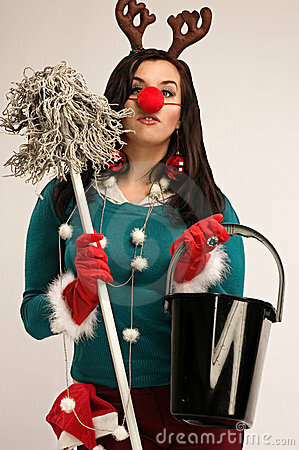 If your New Years resolution is to keep your home cleaner, then why wait until January 1st? Snow, salt, and ice can wreak havoc on your floors, especially if they are wood or carpet. This tip from Carolina Flooring Services will keep your floors from sustaining too much damage from kids, guests, or pets trekking snow into the home. Replace your doormats with waterproof, textured mats that do a better job of scraping unwanted substances before they enter your house.